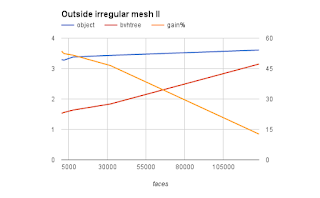 The Python API for ray casts on objects and scenes was changed in a breaking manner in Blender 2.77. And because several of my add-ons depend on it, I not only had to fix them but I decided to have a look at the performance as well. 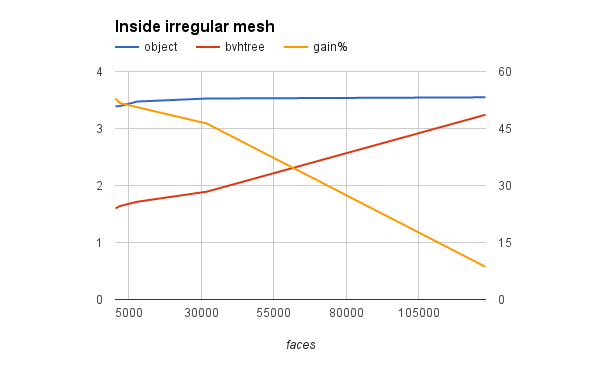 The central use case for ray casting in these add-ons is to check whether a point lies inside a mesh. This is determined by casting a ray and checking if the number of intersections is even or odd (where we count 0 as even). An even number of crossings means the point lies outside the mesh (true for the red points in the illustration) while an odd number means that the point lies inside the mesh (the green point). And the fun part is that this is true for any direction of the ray! We can easily convert this to Python using Blenders API: given an object and point to test, we take some direction for our ray (here right along the x-direction) and check if there is an intersection. 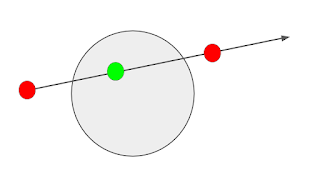 If so, we we test again but start at the intersection point, taking care to move a tiny bit along the ray cast direction to avoid getting 'stuck' at the intersection point due to numerical imprecision. We count the number of intersections and return True if this number is odd. 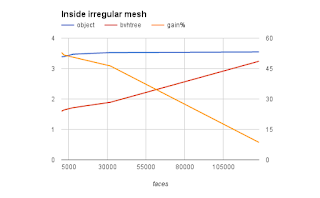 Note that the point to check is in object space so if you want to check if a point in world space lies within the mesh you should convert it first using the inverted wordl matrix of the object. 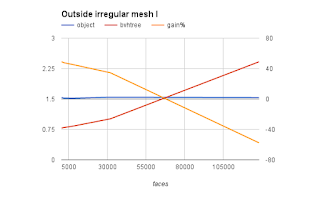 A strange thing happens when the point to test is outside the mesh but the ray happens to point away from the mesh so that we will have zero intersections. 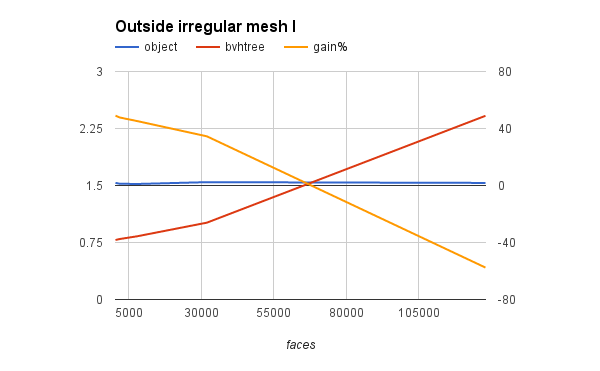 Now for large meshes the overhead of a separate BVH tree appears larger! 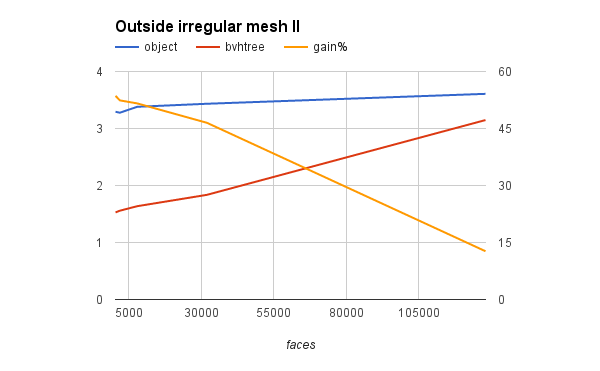 i cannot quite explain the behavior of the ray_cast() performance for larger meshes when the point is outside the mesh and the test ray points away, but in arbitrary situations and moderately sized meshes a perfomance gain of 40% for the BVH tree is worthwhile when doing millions of tests.